On Saturday, May 17, from 9 a.m. through 5 p.m., a Pratt Farm clean up day is being sponsored by the Pratt Farm Committee, Middleborough on the Move and The Future of Middleborough Trust. The Pratt Farm Conservation Area is an important ecological and historical community resource and volunteers are needed to contribute any available time during the scheduled hours to help with some basic clean up. Participants are encouraged to bring their families. Join Spring Clean SUPER TEAM! Meet people, help the community and the kids, and feel great ! Adult Volunteers and children volunteers are needed. Earn a sense of community in volunteering your time towards a spring clean up at Pratt Farm on May 17, 2009. Come any time between 9:00 am and 5:00 pm — whatever times you can give. Pratt farm needs some cleaning and sprucing up. Please come and spend quality time with your family enjoying one of our natural resources and improving our community. Bring a picnic lunch, rakes, plastic bags, outdoor games,and other items to make an enjoyable time at the Middleborough Pratt Farm on East Main Street. Pratt Farm Committee, Middleborough on the Move and The Future of Middleborough Trust, are working together to help the community at large , with a start of a green farm clean up. Please join us for some goodwill excitement. do you know what happened to the garbage cans at Pratt Farm?? There aren't any and people so graciously leave their garbage daily...any way to get the cans back and picked up regularly? 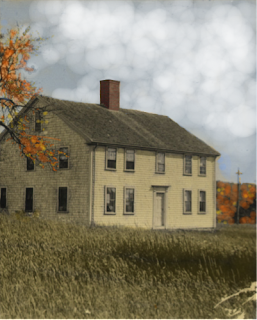 The Pratt Farm is overseen by the Middleborough Conservation Commission. The best bet is to contact the town's Conservation Agent Tricia Cassady or the Conservation Commission itself to see what might be done.